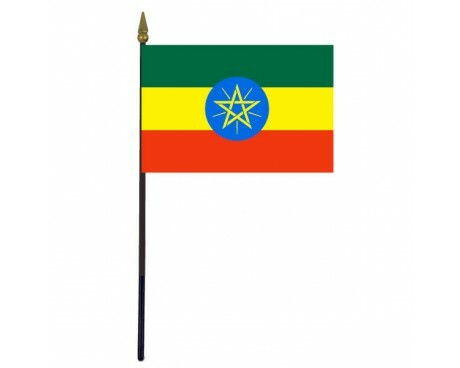 Ethiopia Stick Flag - 4x6"
Ethiopian flags have a long history that predates that of many other African flags. The flag of Ethiopia has a design that can trace its heritage back to the days of the Ethiopian Empire, when Ethiopia managed to be one of the few African nations to resist European attempts to take power. The flag of Ethiopia is a flag that was adopted on February 6, 1996. It conforms to the specifications set forth in article 3 of the 1995 Constitution of Ethiopia. The three traditional colors (green, yellow and red) date back to Emperor Menelik (1889–1913) and were first used in a flag in 1897. The current flag and emblem were adopted after the defeat of the Marxist Mengistu regime (in power from 1974–1991). The emblem is intended to represent both the diversity and unity of the country. Blue represents peace, the star represents diversity and unity, and the sun's rays symbolize prosperity. The green recalls the land, yellow stands for peace and hope, and red is symbolic of strength. Area of Ethiopia: 1,119,683 sq. km. 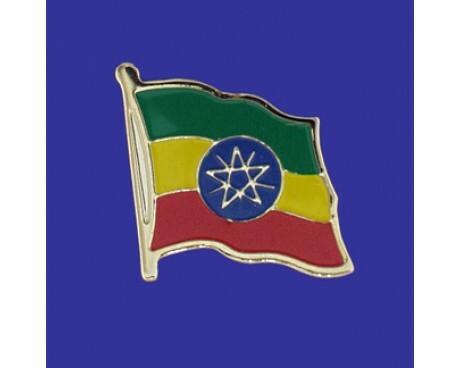 The Ethiopia flag is a horizontal tricolor of green, yellow, and red with a central blue disc that displays a gold star with rays coming out of it. 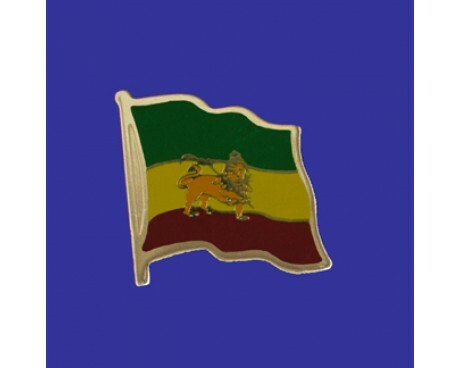 The colors of the bands date back to the reign of Emperor Menelik, who used them to represent his country. When they are used as part of the modern flag, they have additional symbolic meanings. The green band represents the land of Ethiopia, the yellow band represents hope and peace, and the red stripe stands for strength. 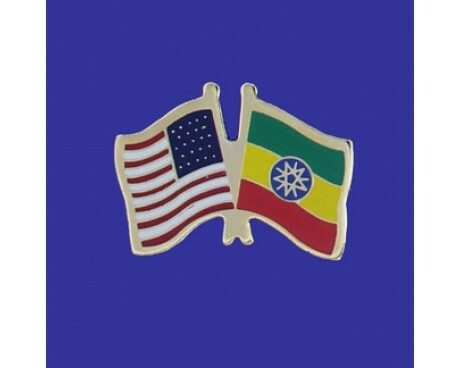 The blue disc in the center of the Ethiopia flag also represents peace, while the star inside it represents the diverse but united nature of the country. The beams that come out of the star represent the nation's power. All Ethiopian flags have featured stripes of green, yellow, and red. The first rectangular flag was adopted in 1897, and it resembled the modern flag with the disc and star replaced with a crowned lion that carried a cross. The was changed slightly in 1974 after Haile Selassie was overthrown. The new flag removed the crown from the lion's head and changed the cross into a spear. The Derg government took power in 1975, and it soon adopted a new flag to represent the nation's new administration. The new flag retained the three stripes that are present in all Ethiopian flags, but it removed the lion from the flag's center. A new government came to power in Ethiopia in 1987, and it replaced the Derg's flag with one that included a seal that represented the nation's communist party. Unlike many other communist governments, the Ethiopian government chose not to give their flag a solid red field or display a hammer and sickle. The communist government left power in 1991. The transition government used a version of the Derg's flag with different proportions until a variant of modern flag of Ethiopia came into use in 1996. That flag used a different shade of blue for its disc than the modern flag, which replaced it later that year.